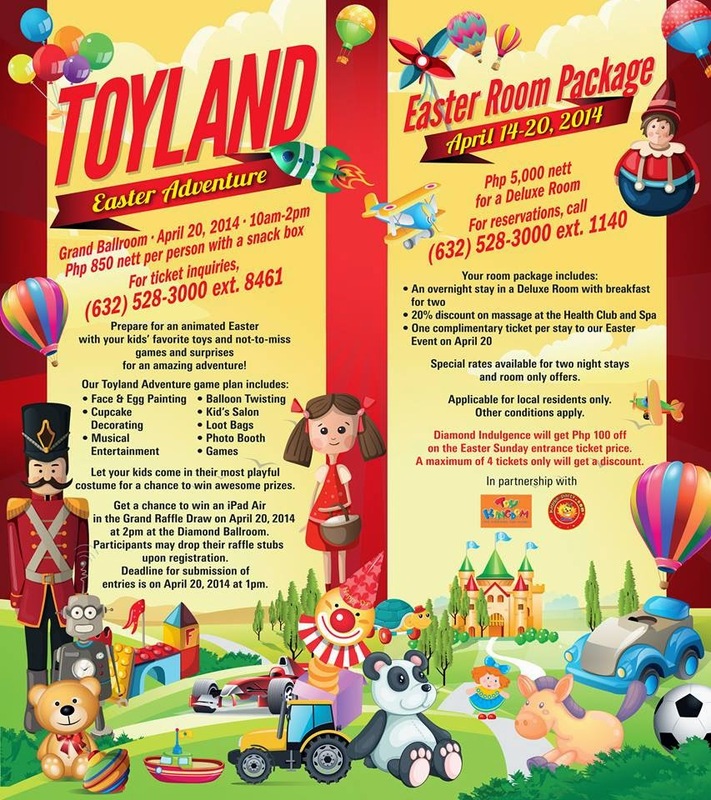 Holy Week is fast approaching and some of you may have planned to go out of town and spend a vacation with the family. Some of you may also opt to stay at home and participate Lenten activities in your parishes. 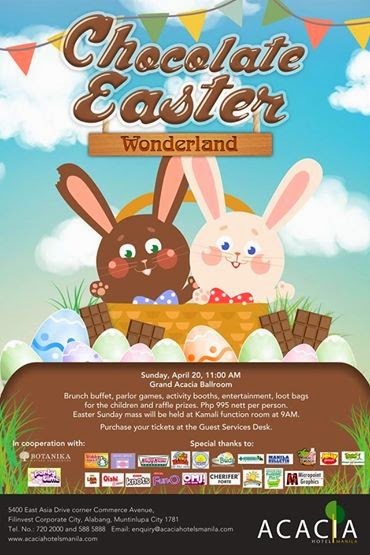 Our kids however, and I'm sure the kids at heart too, await one exciting day during the Holy Week, Easter Sunday! 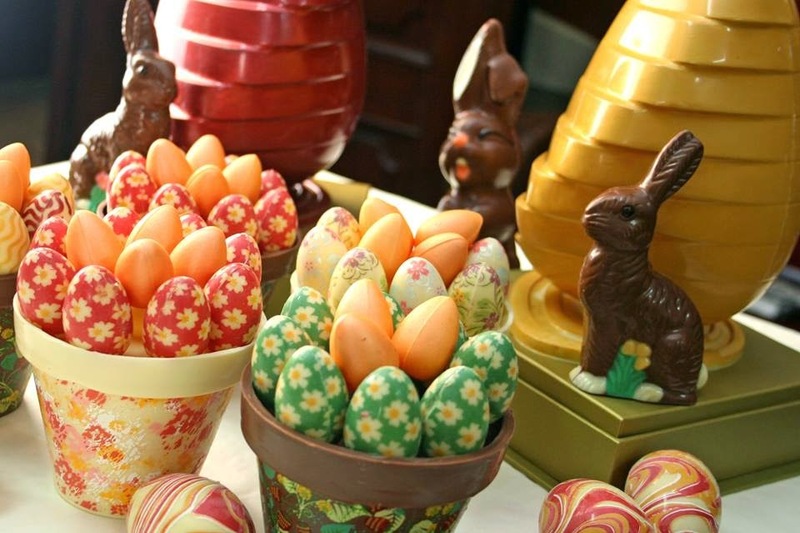 Of course you know why, Easter Sunday means Easter Egg hunting activity! 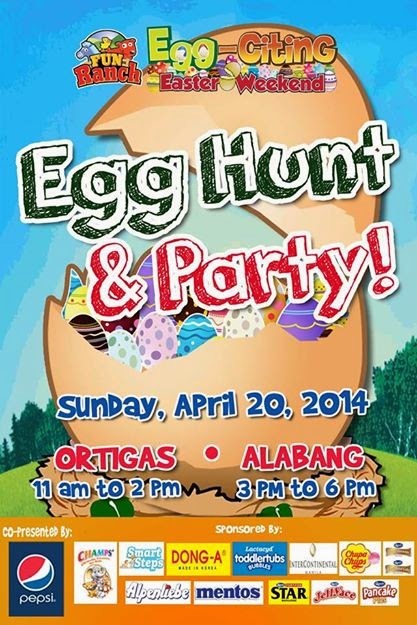 This is why, I am compiling again a List of 2014 Easter Egg Hunting Events in Metro Manila! 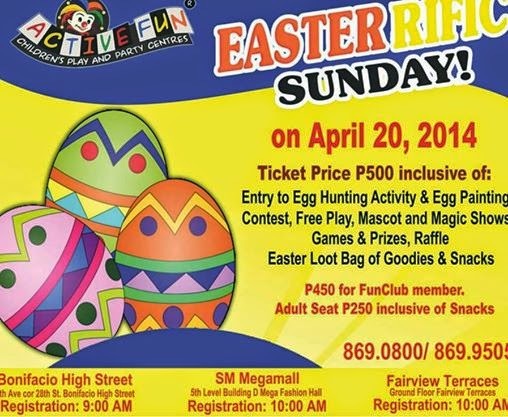 Activities: Snacks, Ride-All- You-Can wristband (for Ortigas; Unlimited Play for Alabang), loot bag, food cart treats, egg hunt and access to all side activities. 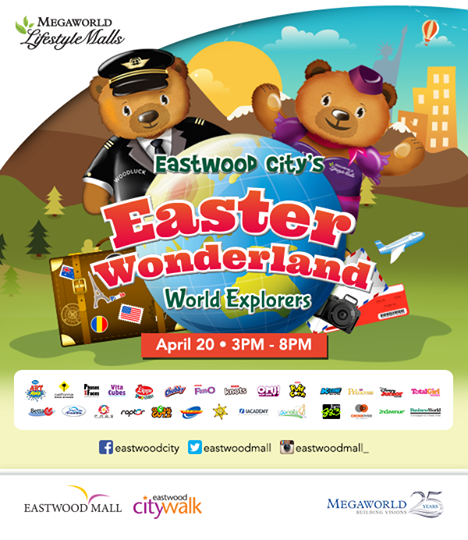 ADULT- Php250 inclusive of entrance, snacks, food cart treats and access to all side activities. 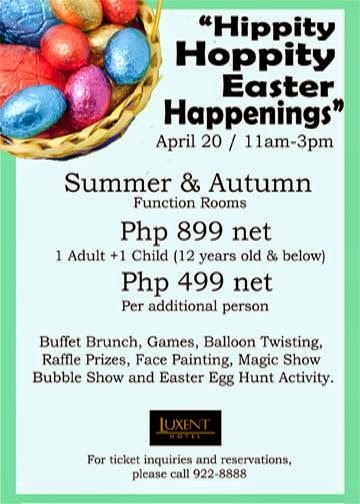 Activities: Buffet brunch, games, activities, balloon twisting, face painting, raffle, magic show, bubble show, and Easter Egg Hunt. Easter Time is Candyland Time! Activities/Inclusions: Cotton Candy, Popcorn, Ice Cream,Face Paint, Magic Tricks and lots more! 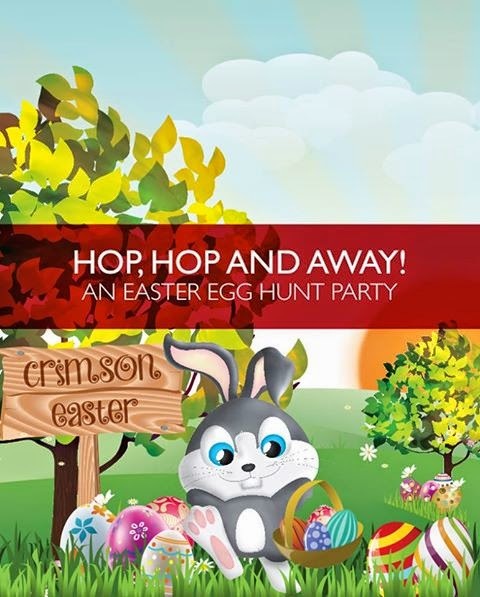 Activities: Easter Egg Hunting, Games, Magic Show, and lots of prizes. 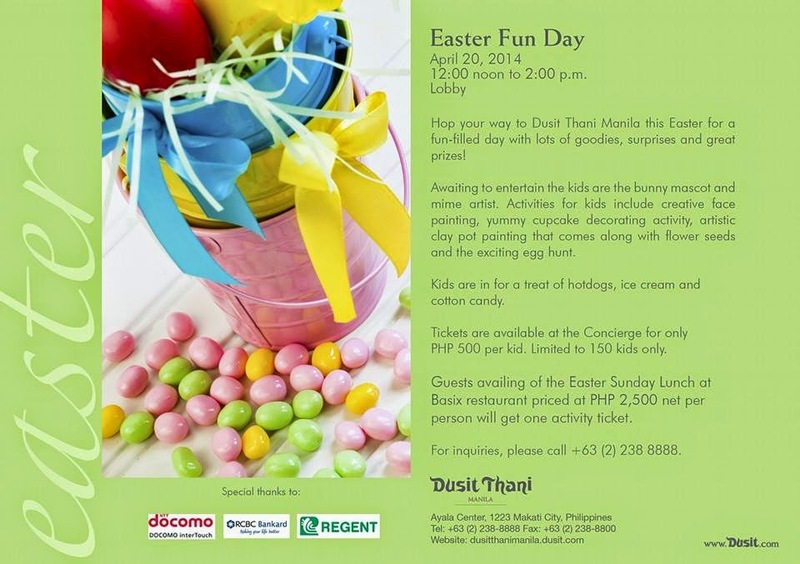 Activities: Kiddie salon, balloon twisting and egg coloring atelier. 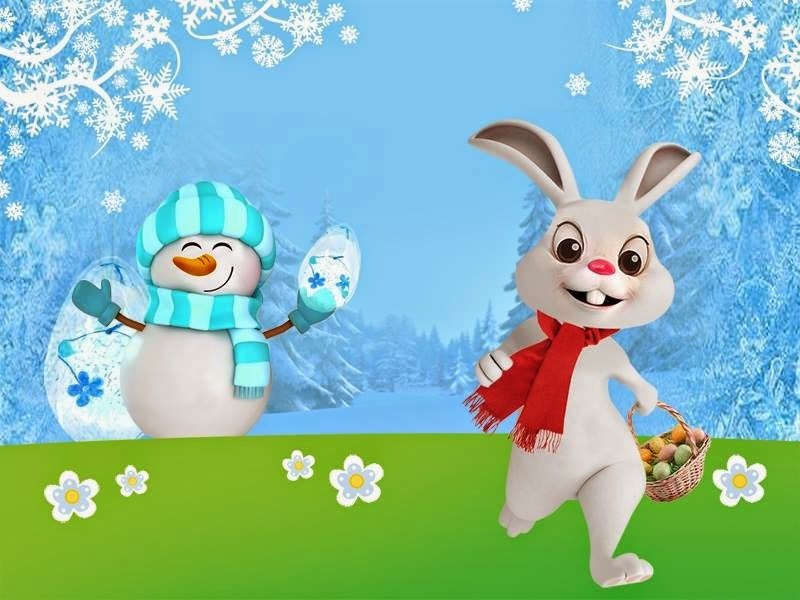 Easter rabbit will distribute chocolates eggs each time the Easter bells ring. 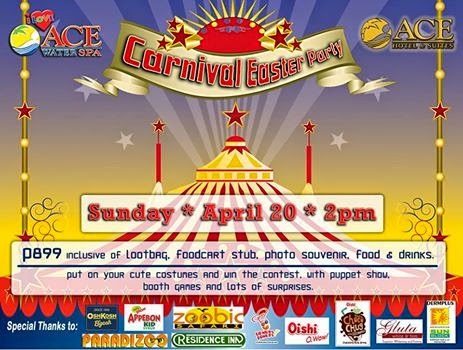 Inclusive of: Loot bag, food cart, photo souvenir, puppet show, booth games, food and drinks. 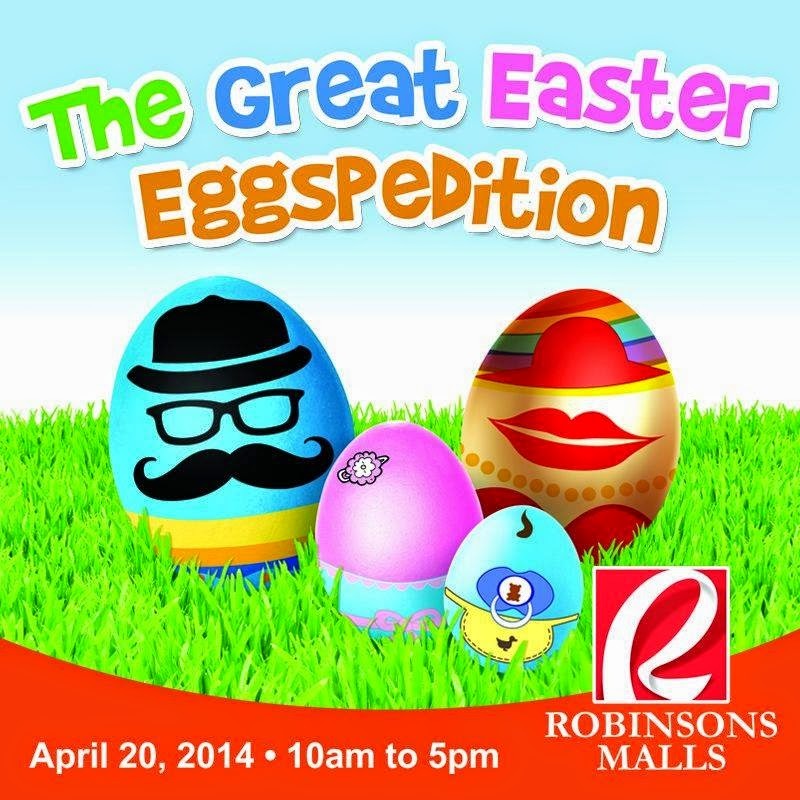 Registration starts at 11am while egg hunting for different age groups begin at noon. Inclusions: Snacks buffet, entertainment, prizes and giveaways. Inclusions: Arts and Crafts, games and snacks! Registration Fee: Php 400.00 only! 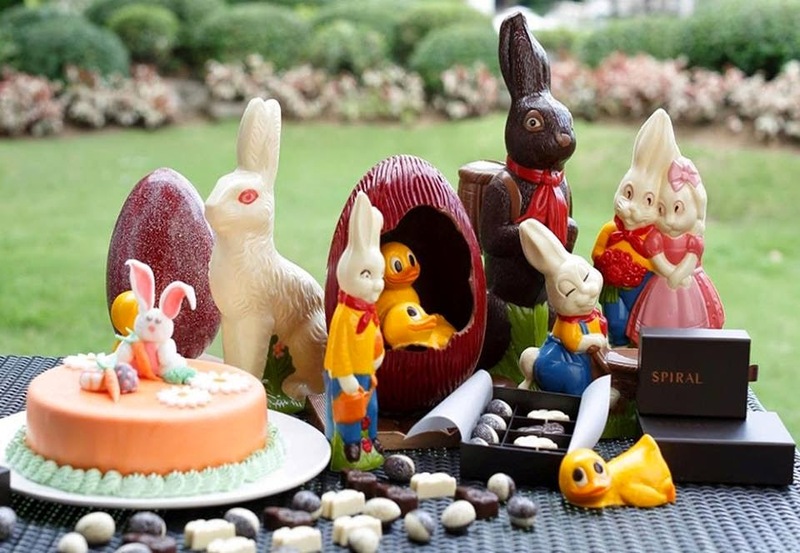 Get ready to visit different areas in the Hotel in search of these sweet chocolate treats. 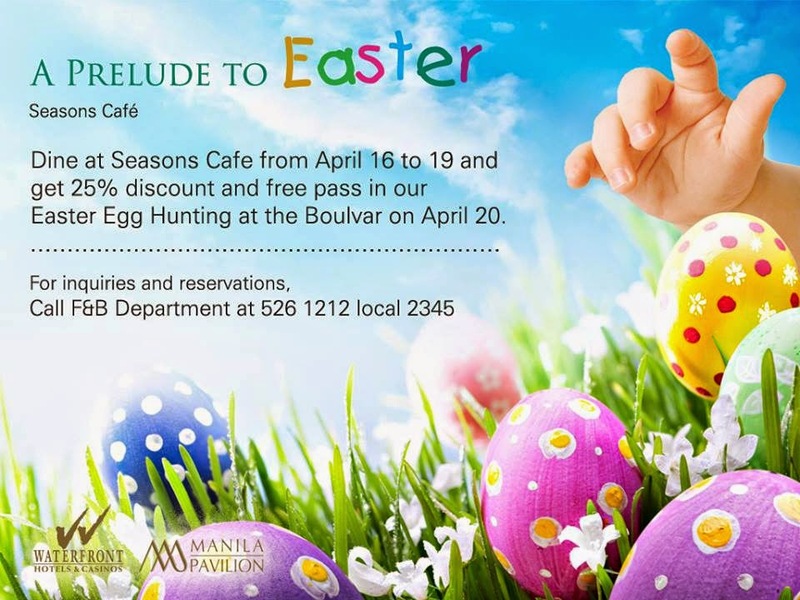 Dine at Seasons Cafe from April 16-20 and get 25% discount and free pass the Easter Egg Hunting activity. This list will be updated as soon as I have new information. I do hope this helps moms and dads! Have a blessed Holy Week ahead! 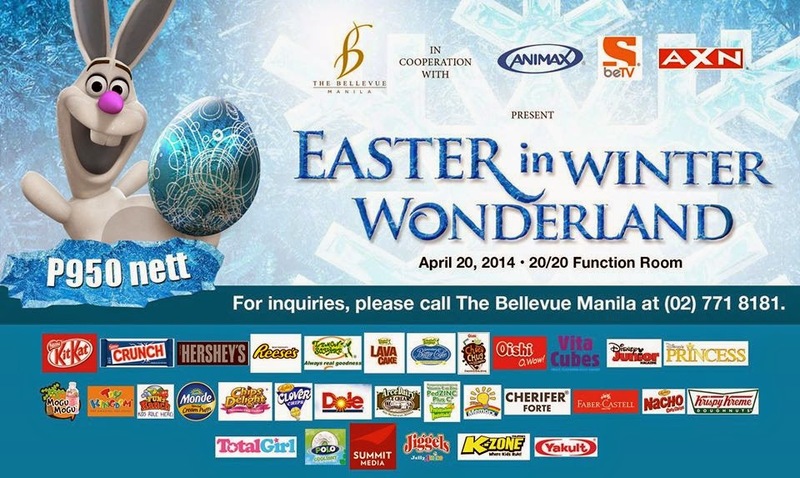 Advance Happy Easter loves! 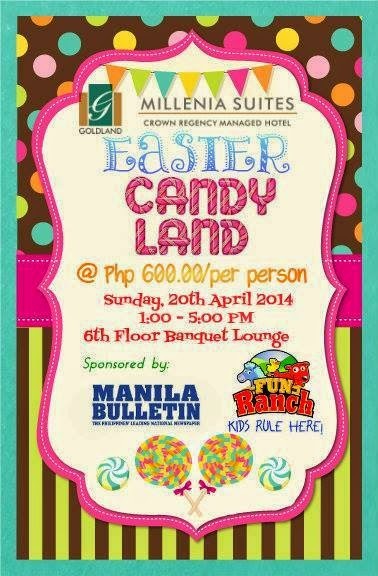 Discovery Suites Easter 2013 is so not worth it. The winner of prizes have been chosen even before the start of the show. The traditional egghunt, which was held after the show, of which most of the eggs were already gathered by the parents ( who are not supposed to be allowed) of the first kid who entered the room. The rule was, each kid should get (1) one egg each. 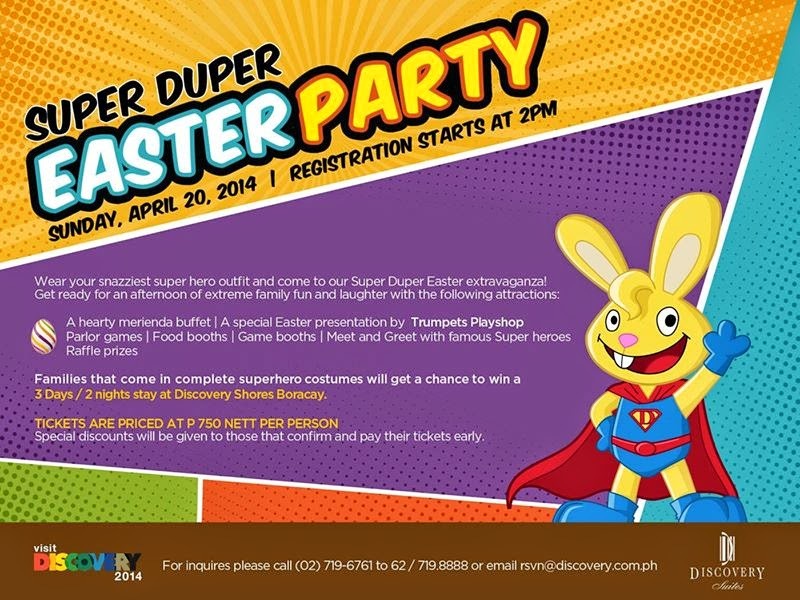 However, for unknown reason, there was this family, who was the last to arrive since they already had the table in the center reserved, who was being given special treatment all throughout the show, and even the first to enter the room to hunt for eggs. Thus, they won the 2nd prizes, consolation prizes, (not sure if they even got the first prize, since we did not finish the party anymore), and games prizes. They are even the first in line at the buffet table. 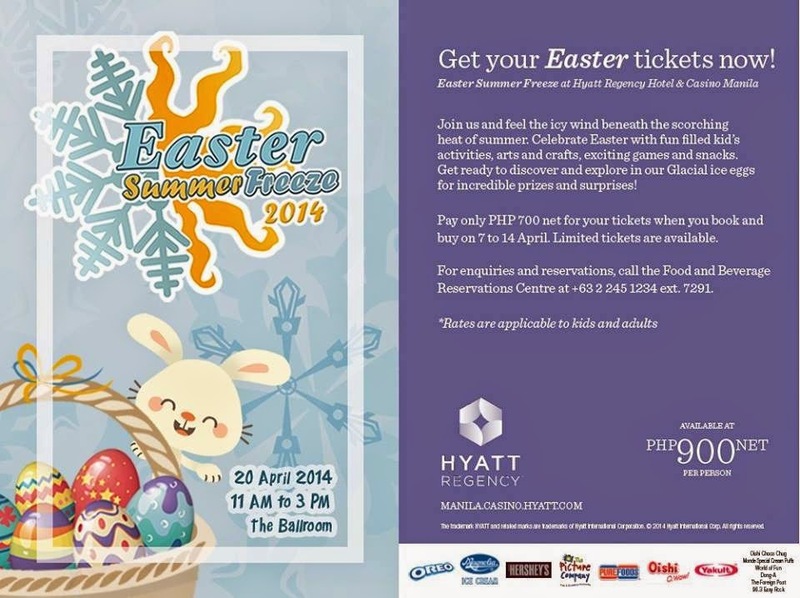 Hopefully Discovery Suites will stop selling Easter egghunt tickets to people if this will be the case. 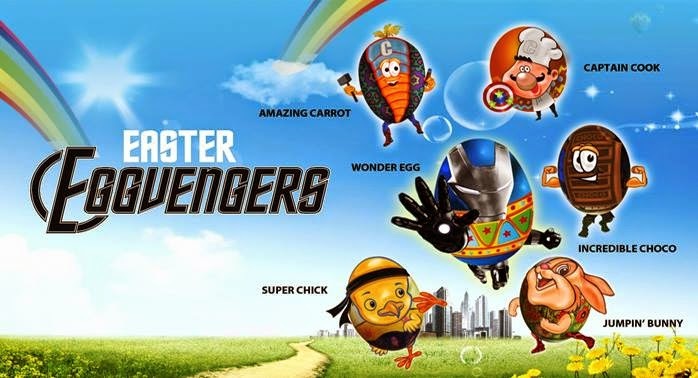 I suggest they just hold an Easter egghunt party for those people mentioned and not waste other people's money by tricking them to pay and giving all the prizes to just one group. GRAND MUSIC PALACE PHILIPPINES already on its 8th year offers Quality and Affordable Music Lessons. We are also a Recording Studio. We are open All Year Round! Just google Grand Music Palace for more information. Thank you very much! I hope there will be a list for 2015 summer workshops so I could plan ahead. Thanks so much. Hello Sharone, kindly see the LINK at the beginning of this post. Thanks.